It's been a very busy week for Apple, ahead of the Apple Event, It's Show Time, on Monday 25 March. The iPhone manufacturer has already unveiled an updated iPad Mini, all-new iPad Air, and next-generation AirPods with wireless charging case. The company has also brought new internals to boost performance to the 21.5-inch and 27-inch iMac all-in-one desktop machines. The latest refresh brings 6- and 8-core processors to the Retina iMac range for the first time. According to Apple, the updated iMacs offer up to 60% faster CPU speeds than their predecessors. There's also up to 80% graphics performance from the new Radeon Pro Vega GPUs fitted inside the new iMacs. Elsewhere, the new iMac models boast the same svelte all-in-one aluminium case, Retina 4K display with support for the P3 wide colour gamut, solid state storage up to 1TB, and plethora of ports (something no longer found on Apple's laptop offering). As you'd expect, the new iMac line-up runs the latest version of Apple's desktop operating system, macOS 10.14 Mojave, which introduced a long-awaited system-wide dark mode, as well as FaceTime group calls, and a redesigned Mac App Store. "Customers are going to love the huge boost in iMac performance. With up to 8-core processors and powerful Vega graphics, the iMac lineup is stronger than ever," said Tom Boger, Apple’s senior director of Mac Product Marketing. 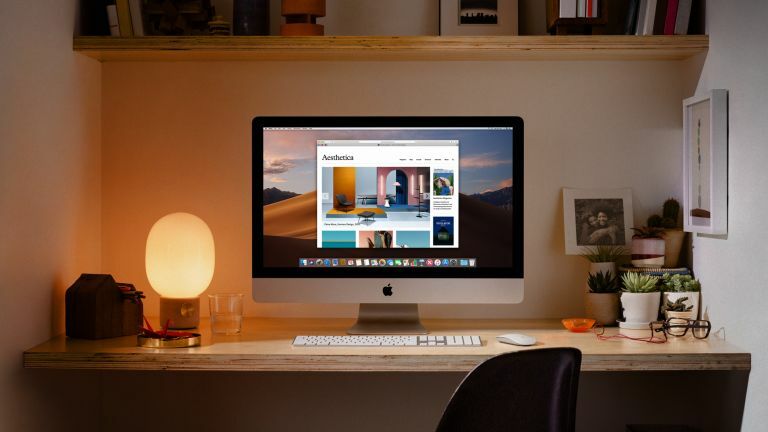 "With its stunning Retina display, amazing design, twice the performance, and macOS Mojave that our customers love, iMac is by far the best desktop in the world." The upgraded 21.5-inch iMac with Retina 4K display starts from £1,249 and 27-inch iMac with Retina 5K display starts from £1,749. Both desktop machines are available to order starting today from Apple.com, and in Apple Stores and other high street stores and Apple authorised resellers from next week. At the same time as Apple rolled-out the refreshed iMacs to its online store, the company also quietly dropped the price of some optional upgrades to its Apple MacBook Air and Apple Mac Pro lines. Apple MacBook Air, redesigned from the ground-up last year, can now be upgraded with 1.5TB SSD storage for £1,100 – a £100 price drop for the same component last year. Better yet, the Mac Pro can now been maxed-out with 64GB (4 x 16GB) of 1866MHz DDR3 RAM for £720 instead of the £1,080 price tag seen earlier this year.